We investigate the surf scene in five countries who recently sent surf teams to the ISA World Games for the first time. A few weeks ago the ISA World Games in Biarritz played host to more nations than ever before, as surfing’s inclusion in the Olympics looms and the sport’s popularity spreads to corners of the globe previously impervious to its charm. A quick scan of the list of competing nations includes several which illicit an inquisitive raise of the eyebrow . There is one country with no coastline at all, two that you’d imagine are severely wave starved and a few that have probably had a grassroots surf culture of some kind for a while now, but have remained on the fringes of interest for the international surf media. Although Afghanistan is totally landlocked, the Wave Riders Association of Afghanistan has high hopes for how the sport might one day be able to make a real difference in the country. 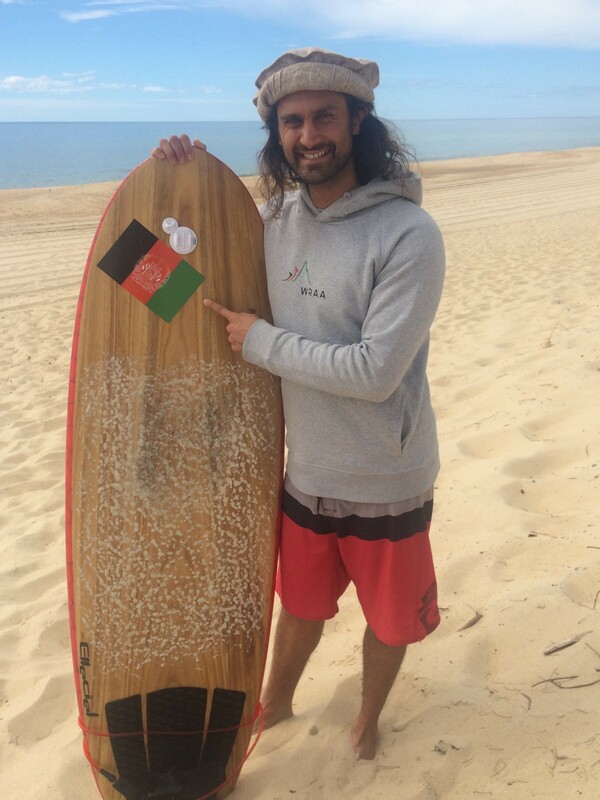 On their website the organisation has set out a list of long term goals, and this May they achieved one of them; sending their first ever competitor to the ISA’s, in the form of Afghan National Champion Afridun Amu. Afridun fled Afghanistan with his family before the Taliban came to power and grew up wave starved Germany. However he had harboured a fascination with water and waves for as long as he can remember and when he finally got his hands on a surfboard aged 19, he knew he’d just discovered something that was set to make a big impact on his life. Whilst Afridum acknowledges that access to the ocean is an obstacle, he is sure that the fast flowing rivers in the mountainous regions of his country undoubtedly offer a myriad of river waves, waiting to be discovered. It is on these waves that he hopes to begin to train up the youth, with a view to hopefully forming a team to take to the 2020 Olympics. Additionally the WRAA details on their website how they hope to one day set up a wave park in the country, to make surfing accessible to all. With the Mediterranean to the south and the Black Sea to the North, Turkey has no shortage of coastal access, and apparently, no shortage of set ups either. 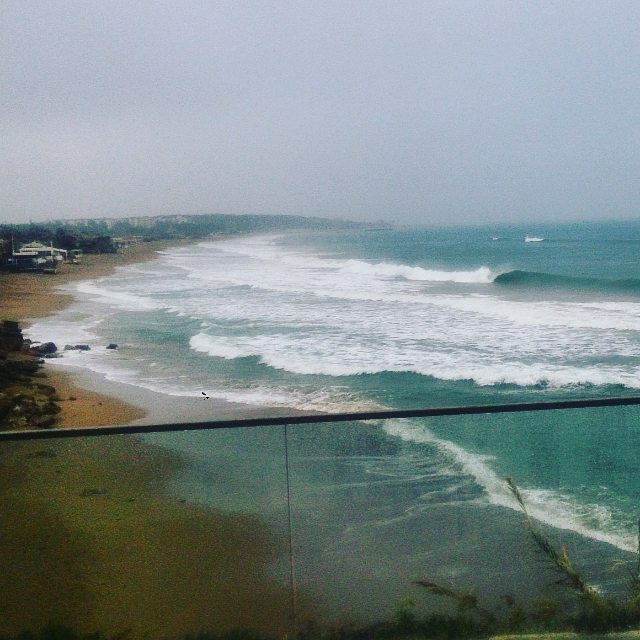 Whilst the swell that hits them is often short and accompanied by strong local winds, it’s not as inconsistent as many think, with claims of up to 20 surfable days a month on the south coast during winter. The culture of surfing in Turkey dates back to Ottoman Empire time where local fisherman would body surf in the Black Sea, a sport which they named ‘Viya’, which is still performed widely today. Turkey first got its NGB recognised by the ISA’s back in 2013, and the sport has been growing steadily in the country since then. This year they sent a five strong team, including young hopeful Aleyna Hadimoglu, who was their first ever surfer to compete in the WSL, finishing 32nd in the women’s junior ranks in Europe last year. China is well known for its sporting prowess, and despite a distinct lack of interest in surfing in the country the government have set their sights on crafting a team that will qualify for the 2024 Olympics. As the first step towards this ambitious goal, they roped in Aussie Peter Townend to train up a team and, for the first time ever, take them to the ISA World Games. Whilst the government have been pushing the island of Hainan as an international surf destination for the past couple of years and surf travellers have been visiting the country since the 60s, the sport is still very much in its infancy in the country, with Surfer Mag reporting back in 2012 that there were only ‘a few dozen’ native surfers amongst the entire population of 1.3 billion people. Whilst this number has been gradually rising, especially since the country has hosted various WSL and ISA surf events, the ability level is still understandably quite low, with no Chinese surfer managing to make it past the third round in these comps. 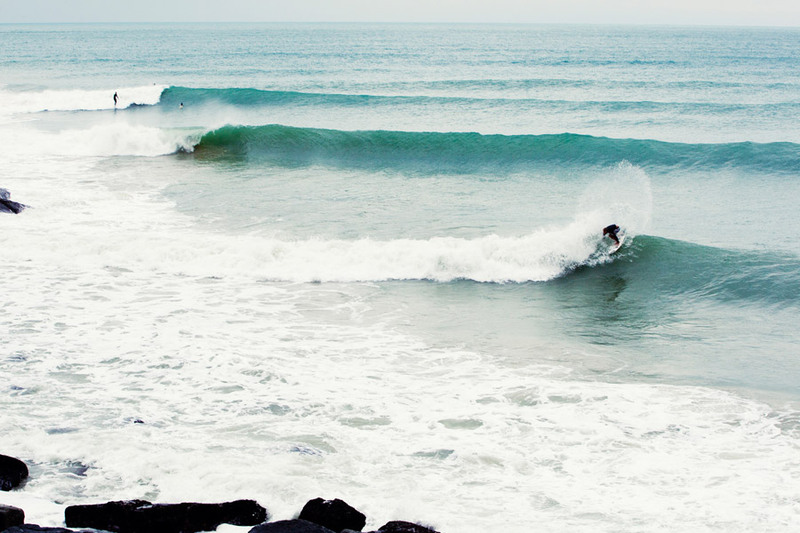 The wave potential is there though – the nation receives consistent surf throughout the autumn and winter monsoons, and bigger more challenging waves during the spring and summer typhoon season. All that remains to be seen is if the Chinese will welcome surfing as they did snowboarding when its inclusion in the winter Olympics was announced in 1998. Read more about surfing in China here. Surrounded on three sides by three different seas and with nearly 10,000 miles of coastline, Greece has an abundance of high quality set ups. The nation is of course split amongst many island chains, with those that jut out in to the the Aegean Sea enjoying a strong north wind in the summer, known as the ‘Meltemi’ which whips up waves along the winding coastline of at least half a dozen of these islands. Then Crete to the south offers the most consistent surfing options, due to its exposure, however the bathymetry means the waves usually lack power. 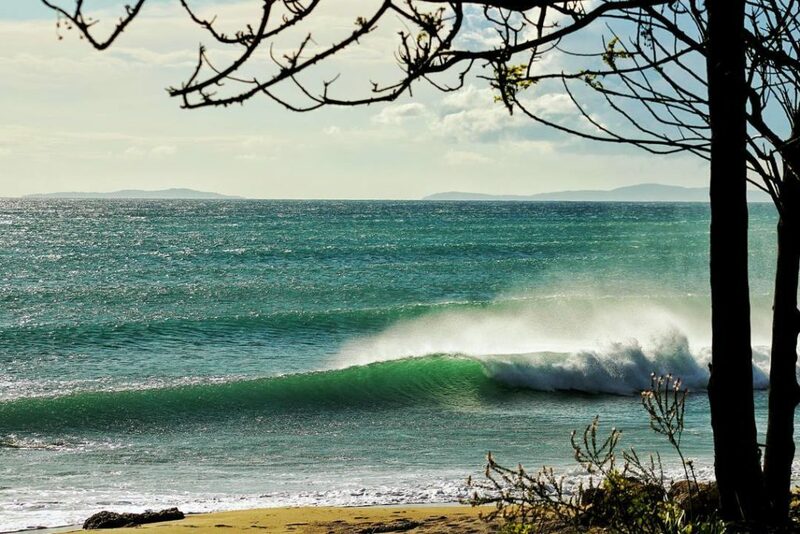 On the mainland it’s the coast of Epirus, that gets both south swells from the Ionian Sea as well as north-west swells from the southern Adriatic Sea, which combined with the highest concentration of quality set ups, make this region the centre of surfing in Greece. The nation attempted to hold its first ever national surf contest earlier this year to select its team for the ISA’s, however they didn’t get a window of decent enough conditions in the allotted waiting period, (sound familiar?) and so instead had to create a committee to select the winning athlete. They chose Athens local Christos Chatzis to represent them in the open mens division. Greece possesses many of the things which attract surfers; with miles of unexplored coastline, warm water and an ever growing number of surf shops and surf schools, we’ve no doubt the the popularity of the sport in the country is set to continue to increase over the next few years. Watch Marlon Lipke & Gony Zubizarreta scoring pumping waves in Greece here. 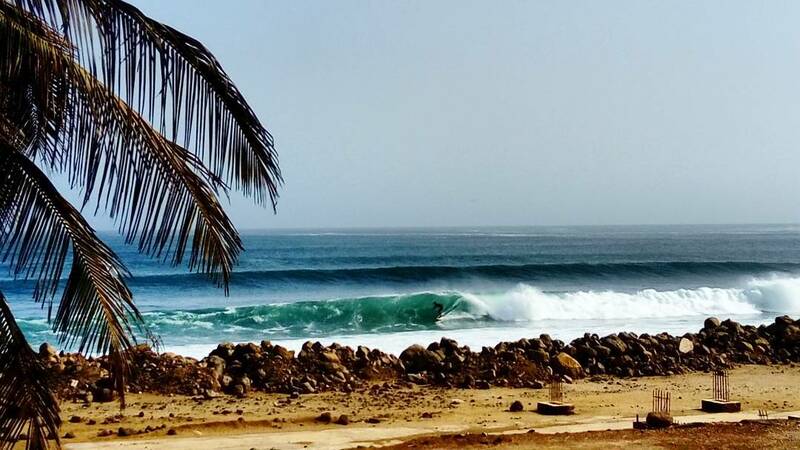 Like many African countries, Senegal has amazing quality and remarkably consistent surf, however unlike some of its continental counterparts, has been on the radar of surf travellers for several decades, thanks partly to its inclusion in The Endless Summer back in 1964. Despite it’s wave quality, relative safety and openness, the country is nowhere as popular as places like Morocco or Mozambique amongst travellers, although there are a steady flow of tourists and surfers who frequent the beach towns near the capital city of Dakar. For any locals wanting to take up the sport there are hurdles to be crossed. Equipment in the region is extremely hard to come by and very expensive, leaving any local enthusiasts relying on donations from travellers. However with the inclusion of surfing in the Olympics, some funding has been made available for the sport and its practitioners in Senegal. Last year the country’s national governing body, The Federation De Senegalese De Surf, hosted a national championship, allowing them to select a team of four surfers, who then received coaching from a fully qualified national coach, ahead of their journey to the games in France earlier this year. Going forward, the Senegalese surf federation is hoping that the CNOSS (Comité National Olympique et Sportif Sénégalais) will provide sufficient funding for them to financially support and train their potential Olympians.